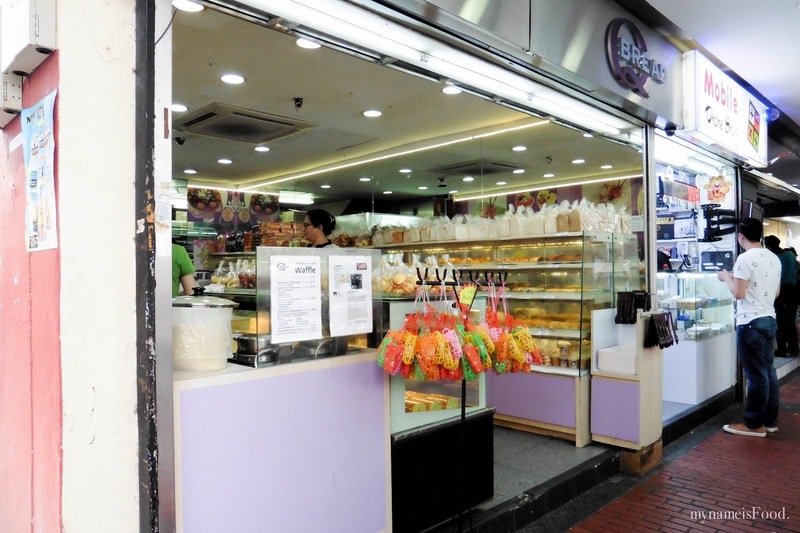 Q Bread - Marine Parade, Singapore - my name is Food. Going back to the place where we used to buy waffles during my childhood days living here makes me miss it here. The ambience, environment and food but I do have to say that the schooling is here is tough. Anyway, Q Bread hasn't changed at all since I last remember, serving up freshly baked bread and waffles made to order. Before Bread top or Bread talk was a thing, this has always been here. From pork floss buns to normal bread loaves to bread rolls to the never-ending bread varieties. Bringing the Mr here brought a smile to my face but since we were full, we couldn't indulge on as many waffles as I would've liked to but at least he was able to try it and experience the childhood waffle my parents used to buy for me when wanting a snack nearby. The waffle batter has been pre-made for convenience and is covered to let it sit there without having any bugs or insects flying in as well as keeping it moist. 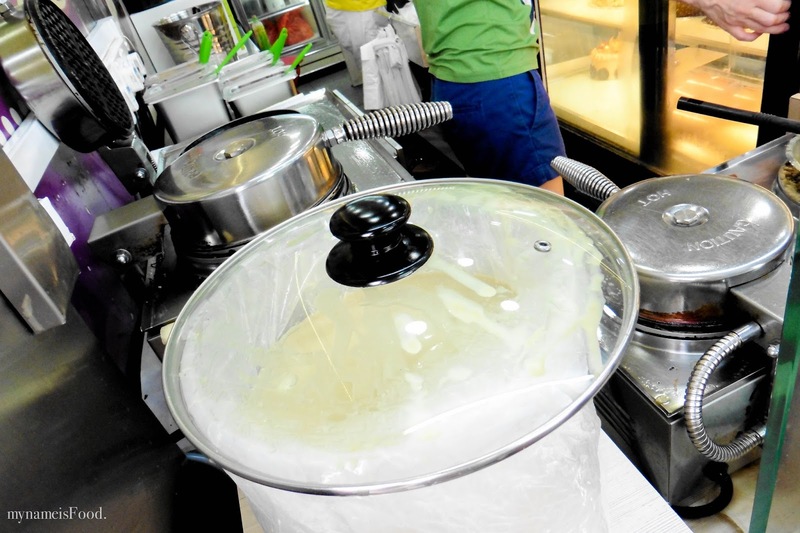 For its price, it is still very affordable to buy a waffle or two either with or without fillings. 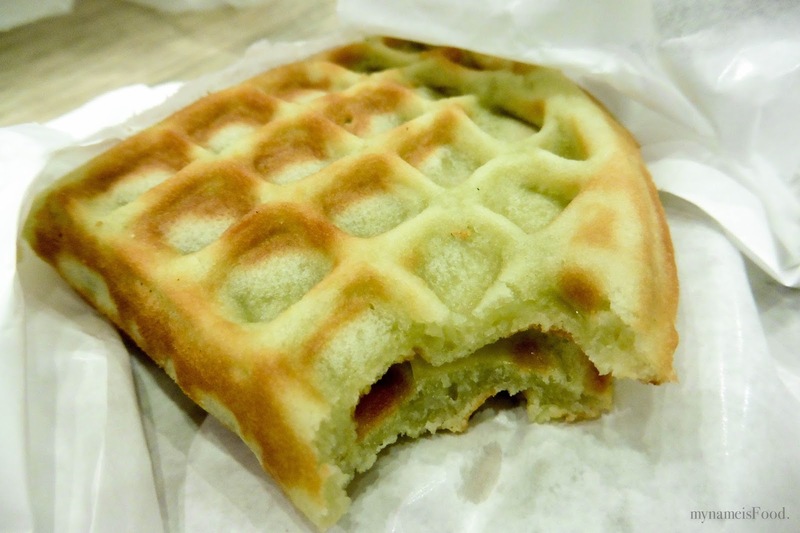 Green tea waffle and plain waffle filled with cheese was what we ordered, fresh and hot so be careful when biting into it. Not too sweet and not too bland either, had the right amount of sweetness in every bite with the slight charring from the waffle maker griller makes it all better.